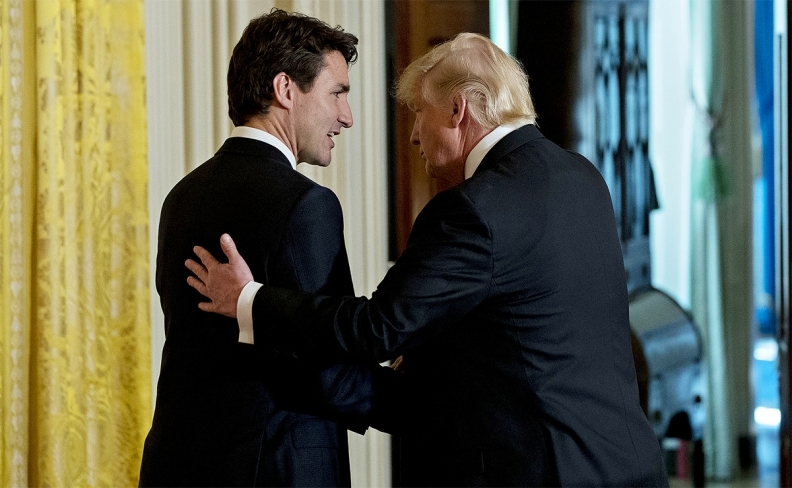 OTTAWA — Prime Minister Justin Trudeau says he believes there will be agreement in short order on a renewed North American free trade deal between Canada, Mexico and the United States. Trudeau didn't put any timeline on that belief when questioned about the negotiations Wednesday, only saying he believed a deal is "eminently possible." The auto impasse hasn't been completely sorted out, but hints of a compromise along with a general thawing in the tone of talks has injected a renewed sense of optimism in the talks. "We are there working very, very hard and moving forward on trying to get a good deal," Trudeau said on his way into a caucus meeting. "We know that there is a good deal eminently possible for Canada, for the U.S. and for Mexican citizen and workers." Canada's top diplomat in Washington is suggesting a deal could be in place by next month, reflecting increasing U.S. interest in finalizing an agreement to avoid putting negotiations on hold for July elections in Mexico, followed by November mid-term elections in the United States. "We are working very hard to get to a deal. We know that there is significant interest on all sides in getting to a win-win-win, and we're going to continue negotiating on that," he said.